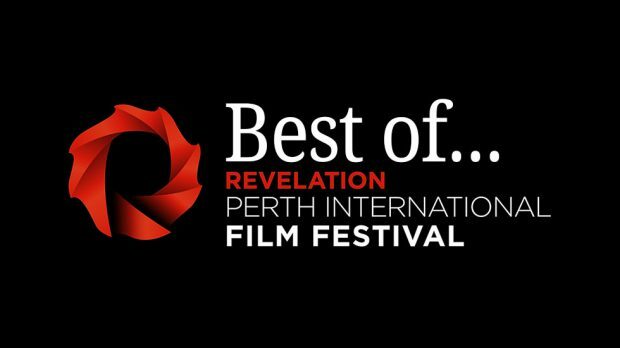 With a couple of hundred films on offer, the Revelation Perth International Film Festival is a rewarding but exhausting time of year for film buffs. With so much choice, each film-goer has a unique experience. It’s also a personal experience, so rather than compile one best of list we asked DAVID O’CONNELL and DAVID MORGAN-BROWN each for their top 5 films of the festival. Unsurprisingly, the results were quite disparate. I spent couple of days seated in Luna cinema 1, and was there most nights, but still only managed to get a taste of the range on offer. The fantastic thing about this event is the range of people that you meet, and just the camaraderie it creates between cinema goers. These were the films that stood out for me. 5. Top Knot Detective – An examination of Australia’s fascination with Japanese cult TV, through the lens of 90s nostalgia. Zany doesn’t even begin to cover the strangeness of this mockumentary, but beneath the laughs there is also a solid tragic story, about conflicting egos and revenge. This should be an instant cult classic. 4. Patti Cake$ – Producing a formulaic feel good film doesn’t mean you can’t be smart about it, and Patti Cake$ is as sharp as a Killa P rhyme. The film says a lot about; aspiration, family, and the progressive acceptance of music genres by mainstream audiences. All backed up by an extraordinary central performance by Dianelle Macdonald. 3. The Girl With All The Gifts – how to tap a genre that is feeling a little worn at the moment, and to create something fresh (am I talking about zombies or YA dystopia – well, probably both). The Girl With All The Gifts places thought into the ecology of its apocalypse and gives us a chilling message for the future. 2. Meal Tickets – It’s hard to imagine a more “access all areas” rockumentary than Meal Tickets. Covering a decade, this film explored local bands the Screwtop Detonators and Will Stoker & the Embers, not merely giving us a comprehensive history of the characters, but also something that will bare resonance to all Aussie musos. 1. 78/52 – An exhaustive account of one minute of film, and how it changed the world of cinema. 78/52 comes at that Psycho shower scene from every way possible, and demonstrates how it is a revolutionary moment in a film that was ground breaking. Regrets having missed: My Life As A Zucchini, Tower. This film festival is one of the most exciting times of the year for any local film-lover, and I was keen to catch up with any and every film that looked great in the programme (and I still missed out on a bunch). So here’s my own top five list: the films and documentaries I caught at Rev, plus some honourable mentions and the films I’m kicking myself for missing. 5. Top Knot Detective– An astonishing achievement, this mockumentary creates a large fabricated world of its own to fool its audience through clever nostalgia tricks and gags. I can confirm it had one of my friends fooled for most of its run-time. 4. My Life as a Zucchini– A wonderful, delightful, and gorgeous-looking claymation film, though one that tackles the darker side of childhood. The superb screenplay and English-dub voices all contribute to a very heart-felt ending. 3. A Ghost Story– Mesmerising and epic in scope, this is a singular film with hardly any comparable contemporaries, making it a unique and absorbing emotional experience. 2. Wiener-Dog– Shifting between tar-black comedy and cute doggie moments, this is a sour, yet hilarious film filled with a great cast of characters who range in their lovability and nastiness, but are either way so much fun to watch. 1. You Never Had It: An Evening with Bukowski– If you’re a fan of the Buk (or the art of misery), this is a terrific exposé on his ideas, creativity, and pessimistic worldview – this is medicine for anyone with a similar temperament.